Unfortunately, Mr. Carter was hospitalized just prior to the banquet and could not attend. 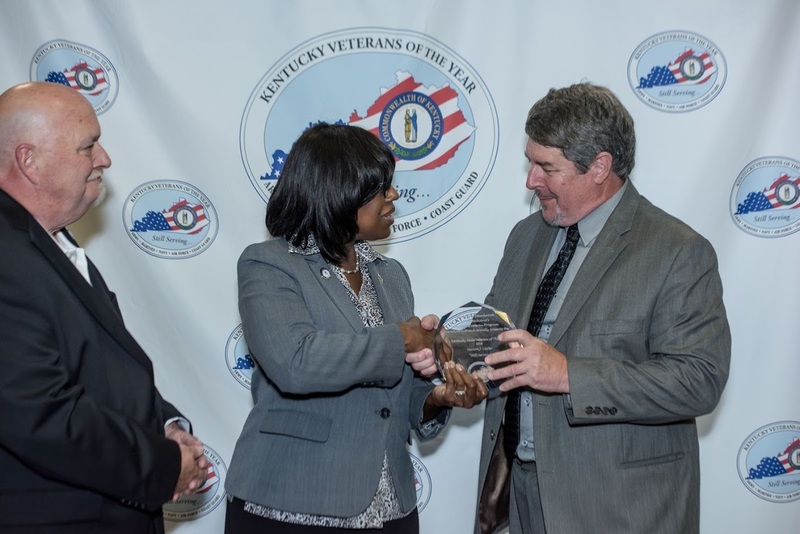 Assisted by John Mustain, Director of Veterans Outreach at the Epilepsy Foundation of Kentuckiana and co-founder of the Kentucky Veterans of the Year, Lieutenant Governor of Kentucky Jenean M. Hampton presents the 2016 Male Kentucky Veteran of the Year award to Steve Carter who is accepting the award on behalf of his dad. 2016 Male Kentucky Veteran of the Year. Marion "Joe" Carter was nominated by his son, Steve. Here is the nomination Steve wrote concerning his dad. The nomination is unedited and unredacted. "Marion J. Carter was born on the 4th of July 1918 and will turn 98 this July 4th. He served two tours of duty in the United States Marine Corps, just prior to and during World War II. 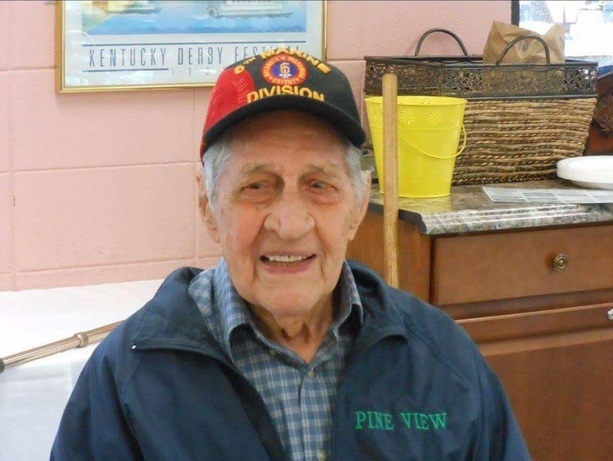 After his retirement from E.I du Pont he served for many years as an assistant helping at the nutrition center which was located at St Basil parish in Shively, Ky. He helped serve the elderly on food lines as well as calling a weekly bingo at the parish which he did until he was 95. He also volunteered at St. Mary & Elizabeth's hospital during this same period, up until he was 95 years old and no longer able to drive the golf cart that assisted people to and from the parking lot. Although he is no longer physically capable of assisting others, he is still quite active and an avid reader. He reads 8-10 books per month and after finishing these books he donates them to the VA Hospital in Louisville, KY. I feel he has served his country and his community well."